This is the page where you can find introductory information about how to care for the clothing and textiles in your museum collection. The National Park Service offers an extensive section on the Curatorial Care of Textile Objects in their Museum Handbook. The incredibly detailed book offers information on the nature of textile materials, their construction, and deterioration. They also offer information on the proper handling, packing, and shipping of textiles as well as the optimal storage environment and how to store flat textiles as well as costume and accessories collections. Finally, it includes information on the best way to display your textiles while exhibiting them. Mary M. Fahey, Chief Curator of the Henry Ford Museum, compiled this guide on the Care and Preservation of Antique Textiles and Costumes. The guide focuses mainly on causes of deterioration (including pollution, light, inherent vice, and handling) and issues of storage and display. It also includes an extensive bibliography. The Hammond-Harwood House and City of Bowie Museums offers this great resource on Textile Cleaning and Care from their Collector’s Corner Workshop Series. It also features a useful bibliography for additional resources. Wondering how to properly label and mark textiles? Here’s a quick tutorial. Hagley Museum and Library provides this wonderful resource on preserving synthetic textiles. Properly conserving your collection also means displaying it properly to prevent damage. For more resources about exhibiting costume textiles, see our page here. 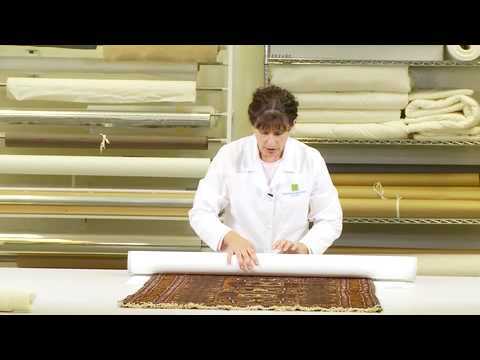 This six-part series of videos from the Minnesota Historical Society provides an excellent introduction to the conservation of heirloom textiles. 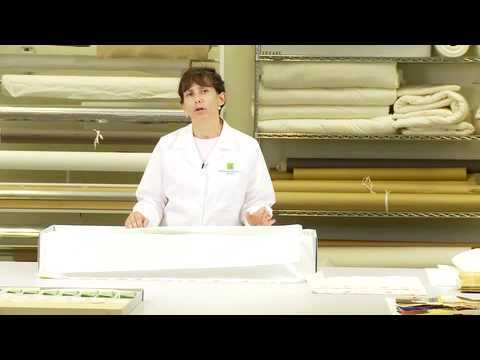 The first video discusses suitable storage materials made out of paper, plastic, and fabric; how to identify if a material is “acid-free” using the pH (alkaline/acidity) scale; different storage needs for plant- and animal-based materials; and advantages and limitations of and tips for using different types of materials for storing your objects.